May 29 News | Jobs in Audio, Film, Radio. lands tracks in feature film! Hard work and a willingness to diversify have taken Recording Connection grad Jamaal Taylor a long way. Working in Hollywood as a DJ tech and sound engineer for the prestigious Avalon Hollywood (at the historic corner of Hollywood and Vine), the dynamic composer/producer recently landed placement for two songs in the film Sleight, a genre-bending flick that recently scored high marks in its theatrical release! The songs that made the soundtrack are named “Stick Up” and “S.O.G.”. Both tracks are co-written by Jamaal and hip-hop artist and lifelong friend AmirSaysNothing. Jamaal says his ability to create beats from scratch had a lot to do with getting it placed. “The guy who was the music supervisor of Sleight hit up Amir and was like, ‘Hey, I need some hip hop for this movie that we’re working on, and this song literally fits perfectly in it.’ …When they found out that I didn’t use any samples and I made everything from scratch, that was when they sort of freaked out and were like, ‘Yes, we want this in the movie because we don’t have do clear anything.’” Growing up in New York, Jamaal says his interest in music started with making beats using GarageBand as a teenager, and it eventually took over his passions as a college student. “I went to Wesleyan University,” he says, “but it ended up being too expensive and I had to drop out because I couldn’t afford it. But even while I was in school, I would stay up all night making beats on Garage Band, and a lot of my friends were creative people too, and we were recording ourselves…I ended up realizing that I wanted to do music more than I wanted to study and become a lawyer or doctor or something like that.” A trip to visit his mom in Los Angeles turned into a permanent move, he says. Three months later, he discovered the Recording Connection. “I was like, ‘This looks more like what I’m aligned with,’ like having an externship, because I had already been to college,” he says. “I was kind of over the whole college atmosphere and just that way of learning…It was definitely a good idea.” Jamaal soon found himself apprenticing at Angel House Studios with Recording Connection mentor Drew Kapner—a relationship that has continued long since. “Our personalities meshed really well,” says Jamaal. “I still consider him a friend today. We still work together…He’ll hit me up if he knows that I’m the right person for a certain project.” For Jamaal Taylor aka Cy Kosis, who went into the program to learn music production as an electronic musician, he says the experience working with Drew in the studio gave him a broader perspective as to how to work in the industry in general. “I needed some sort of direction because there are so many different directions to go in, in the music industry,” he says. I needed to have someone be like, ‘This is what you should do, this is what you’re good at, this is what you’re not good at, this is what you need to work on.’ I think learning how to be a better music producer helped inform the decisions that I make now.” Jamaal also says Drew went the extra mile to help him learn the engineering skills he needed to hone his craft as an electronic musician. “When I was first learning just about engineering in the first place, one of the hardest things for me to understand was what compression was and how compression worked,” he says. ‘[Drew] veered off the curriculum and was just like, ‘Okay, I can understand, since you’re an electronic music artist, you really need to understand what compression is.’ And he just spent a really long time with me making sure that I really, really got it… He spent maybe a good month just explaining to me the details of compression.” Yet another thing Jamaal says he learned from Drew was the importance of being diverse as a music professional without getting pigeonholed into just one thing. “He was like, ‘You can’t just be a music producer, you can’t just be a DJ, you can’t just be an engineer…In order to be successful in this industry you have to not focus only on getting good at one thing.’ That was a lesson that I clearly took seriously.” Today, Jamaal does take that advice seriously, working on multiple income streams to make a living in music. While the DJ tech and sound engineer job at Avalon serves him well, he also works on landing production deals and placements, including the recent tracks on the film. Sleight, an indie sci-fi/fantasy/suspense film from the producer of surprise hit Get Out, is now showing nationally in theaters across the country. Go see it if you have the chance. Congrats to Jamaal Taylor on his achievements! drum miking tips and more! We’re always happy when Recording Connection mentor Sean Giovanni finds some time to talk with us! 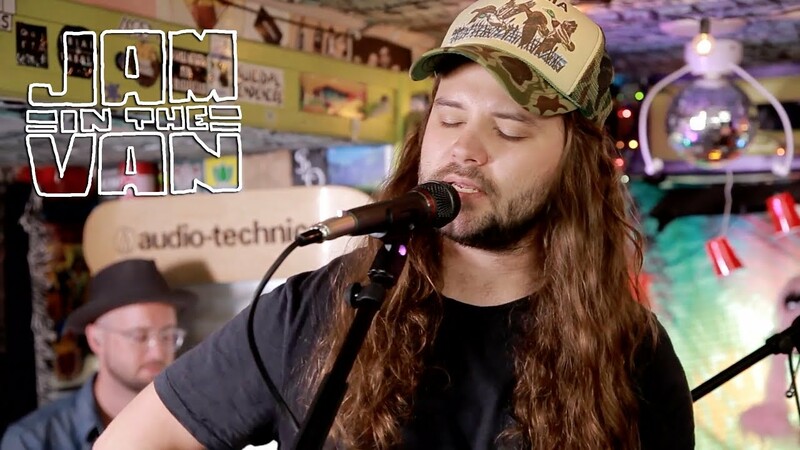 A music industry veteran in Nashville, not only has Sean worked with major players like Tim McGraw and John Legend, but he also hosts a local show called BalconyTV which features live performances from up-and-coming Nashville talent. Sean recently had the opportunity to move his Nashville recording studio, The Record Shop, into a much larger, more versatile space. He was excited to talk with us about it and share the possible benefits to Recording Connection students, as well. 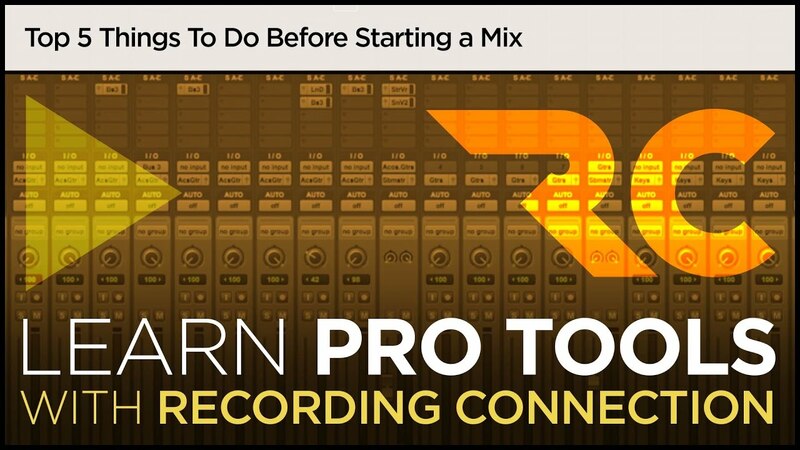 During the conversation, he also shared some detailed tips on how he likes to mike live drums, which many of our audio students should find very helpful! Enjoy! RRFC: So tell us what’s happening with your new space. Sean Giovanni: Well, for about the last year to year and a half we have been looking for a new facility to expand our operation, and about two months ago we finally found a property that works for what we’re looking for. We moved in six weeks ago, and now we’re totally set up and ready to launch our new version of The Record Shop, and we’re excited to get the word out about it. RRFC: What are some of the ways the new space meets your needs? Sean: One of the things that we wanted was to be able to have a space where we can incorporate some of the multimedia work that we do in addition to the recording studio work. So our new space has an area that we can utilize for video editing, for filming and photoshoots as well as some of the graphic design and marketing work that we do. RRFC: Very nice! Let’s talk a moment about one of your former students, Jones Nelson, who seems to be doing quite well since doing the program. He said he really learned a lot from you —because you guys kind of came at it differently—you really taught him a lot about MIDI and all that. Sean: I think he was able to observe a fair amount of the MIDI programming, track making side of things, and how it relates to utilizing synthetic elements in modern music that still incorporates live instrumentation too. He got to experience how we fuse the two together so it has a modern sound but keeps the same feel of a band. RRFC: So let’s say you’re incorporating beats into something that’s aiming to have a more organic feel. How do you balance it out? Is there a way that you approach that? Sean: Usually I think it depends on the song and the artist. The first decision we make with an artist is how much of a blend we want on each of those elements. So if there’s a band that’s more live feel driven, we may support the programming minimalistically but that gives it the sonic foundation that we’re looking for, whereas another band may want to push the envelope and be more pop-driven and really incorporate those elements a little more aggressively. So I think it’s a determination of the sonic branding of the artists first and how they work together. I try to layer the elements in a unique way. RRFC: When you’re just going with a straight up rock band, what are the instruments you feel are best to leave un-programmed so that you get that feel? Do you have a preference? Sean: Any sort of live drum set I think should be played by a live drummer. It’s very common in modern rock music to edit the drums pretty significantly to get them really tight and solid, almost more machine sounding depending on the type of rock band. But I personally prefer to still use a live drum kit as opposed to sampling everything. There’s some really good software out there, but it just doesn’t have the same feel. I like to leave the organic sounds for a real drum set and the sampled sounds for the drum machine. RRFC: Can you give us some idea of how you mike up your drums? What wisdom can you give us? How do you mike up a conventional rock kit? Sean: I start my approach with the room mikes and overheads. As a producer and engineer, I like to hear the drum set as one complete instrument. So when I go into a studio, we bang out some drums and I get an idea of where in the room it sounds like the drums are resonating in the way that we want to hear them, and usually I’ll start by setting up a few different sets of room mikes. Some of them will be lower to the ground, some of them will be higher up, and some of them may be kind of mid-level…typically staggered in different distances away from the drum set. There may be times that I’ll find one spot in the room that maybe the snare really cuts through, and I’ll place a mike there and just find little pockets within the room where sonically everything kind of comes together and the whole kit sounds like one piece to my ears. RRFC: So are you miking up any of the toms individually or anything like that? Sean: Yeah, after I get the overall room sound and overhead sound which is where I start when I’m mixing. So it’s kind of where I start when I’m tracking as well. Then I would close-mike all of the individual drums. I usually use a mike on the inside of the kick drum and a mike on the outside…a mike on top of the snare drum and on top of all the toms. And I often take a unique approach on the mike that would go underneath the snare drum; I typically use a ribbon microphone that has a figure eight pattern, so it picks up from the front and the back of the microphone, and I place that down kind of by where the drummer’s knee would be, in between the kick drum and the snare drum. So one side of the microphone is pointed towards the head of the kick drum, and the other side of the microphone is pointed up toward the bottom of the snare drum. I find for me that’s a very effective way of being able to get a nice blend between the kick and snare and still get that sort of fizzle and ghost notes that happen with the mike underneath the snare drum, but with a fuller, fatter kind of sound. So I use that mike as the sort of glue that gets blended in. RRFC: Okay, so when you’re trying to get that “fat” sound, what do you think will kill a fat sound more than anything when it comes to mixing? What are the no-no’s? Sean Giovanni: Too much EQ and too much compression—just doing anything too aggressively. I think it’s common when you first start mixing to really try to carve out each individual sound as opposed to listening to how each sound relates to the other one. I know that I did that early on in my learning days of figuring out how to mix, I would listen to each individual thing and really try to get it to sound the best that it could on its own, and then once I put it back in to the mix it just lost all the life and power that it had. So I think learning the art of subtlety within mixing. RRFC: Anything else you want to tell us about your new space? Sean: One other thing that I think is pretty cool that I’m excited to share with our students is we’ve set up a secondary production room that during the time will be utilized for mixing, editing, and basic overdubs as well as vocal recording. So while I’m working on maybe one of our major projects in one room, we can be doing background vocals or overdubs or editing or programming in the other room. The B room is set up with an identical Pro Tools HD system and has the same plugins and software that I have on my main computer, which allows us to send sessions back and forth, and has access to the same incredible mike closet that we have at the studio. So any clients that come in and may just want to cut a vocal, they have access to all the same microphones that they would if they were booking our main room…But how I think that room will have the biggest effect on what we offer to the Recording Connection program is that our students will be able to have an identical system to the system that I work on to be able to practice on while we’re in sessions. So as opposed just coming in on their non-lesson days…they’ll be able to simultaneously work on the same session that I’m working on in the other room, and we’ll be able to review that and give them more direct, hands-on experience throughout the program.